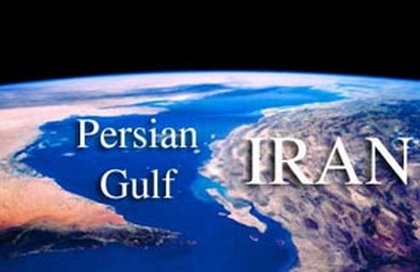 The Persian Gulf is a crescent-shape groove which has demonstrated the encroachment of the Indian Ocean waters (Makrân Sea, also known as Gulf of Oman) in an span of 900 km long and 240 km wide in the inferior folds of southern Zagros mountains. The Persian Gulf and its neighboring countries constitute almost one ninth of the 44 million square km span of the Asian continent (1). The Persian Gulf has been a valuable waterway since the beginning of history and as the venue of the collision of great civilizations of the ancient East, it has a background of several millenniums (2). Since centuries ago, the Ilamites used the Port of Bushehr and the Khârg Island for dwelling, shipping and ruling over the coasts of the Persian Gulf as well as transaction with the West Indies and the Nile Valley (3). 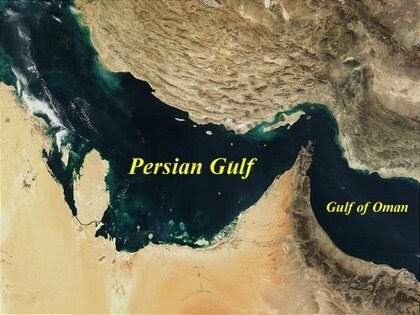 In the Latin American geography books the Persian Gulf has been referred to as More Persicum or the Sea of Pars (4). The Latin term "Sinus Persicus" is equivalent to "Persicher Golf" in German, "Persico qof" in Italian, "Persidskizalir" in Russian and "Perusha Wan" that all mean "Pars" (5). Prior to the stationing of the Aryan Iranians on Iran's Plateau, the Assyrians named the sea in their inscriptions as the "bitter sea" and this is the oldest name that was used for the Persian Gulf (6). An inscription of Darius the Great found in the Suez Canal, used a phrase with a mention of river Pars which points to the same Persian Gulf. The Greek historian Herodotus in his book has repeatedly referred to the Red Sea as the "Arab Gulf" (7), and Straben, the Greek historian of the second half of the first century BCE and the first half of the first century AD wrote: Arabs are living between the Arabian Gulf and the Persian Gulf (8). Ptolemy, another renowned Greek geographer of the 2nd century has referred to the Red Sea as the "Arabicus Sinus", i.e. the Arabian Gulf. In the book `the world boundaries from the East to the West' which was written in the 4th century Hegira, the Red Sea was dubbed as the Arabian Gulf. Today, the most common Arabic works refer to the sea in south Iran as the "Persian Gulf", including the world famous Arabic encyclopedia `Al-Monjad' which is the most reliable source in this respect (9). 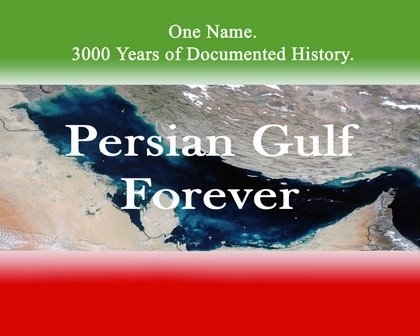 There are undeniable legal evidences and documents in confirmation of the genuineness of the term Persian Gulf. From 1507 to 1560 in all the agreements that Portuguese, Spanish, British, Dutch, French and Germans concluded with the Iranian government or in any other political event everywhere there is a mention of the name Persian Gulf (10). Even in agreements with the participation of Arabs there is a mention of "Al-Khalij al-Farsi" in the Arabic texts and "Persian Gulf" in English texts, such as the document for the independence of Kuwait which was signed between the emir of Kuwait and representatives of the British government in the Persian Gulf. The document, which was signed on June 19, 1961 by Abdullah As-Salem As-Sabah, has been registered in the Secretariat of the United Nations according to article 102 of the U.N. Charter and can be invoked at any U.N. office (11). The beginning of 1930s was a turning point in the history of efforts for changing the name of Persian Gulf when Sir Charles Bellgrave, (?) the British diplomatic envoy in Iranian island of Mishmâhig, which today known as Bahrain opened a file for the change in the name of the Persian Gulf and proposed the issue to the British Foreign Office. Even before the response of the British Foreign Office he used the fake name (in an attempt to retake Bahrain, the Tunbs, Abu Musa, Sirri, Qeshm, Hengam and other islands belonging to Iran and to disclose and thwart the plot of disintegration of Khuzestan) (13). Besides all the disputes that have been made over the name of the Persian Gulf, the United Nations with its 22 Arab member countries has on two occasions officially declared the unalterable name of the sea between Iran and the Arabian Peninsula as the Persian Gulf. The first announcement was made through the document UNAD, 311/Qen on March 5, 1971 and the second was UNLA 45.8.2 (C) on August 10, 1984. Moreover, the annual U.N. conference for coordination on the geographical names has emphatically repeated the name "Persian Gulf" each year (14). "The Greater Tunb Island is limited from north to Qeshm Island, from west to the Lesser Tunb, from south to Abu Musa and Raas al-Khaima and from east to Oman (15). The island is called the Greater Tunb, Gap Tunb, Tunb-e Mar, Greater Tunb-e Mar, etc..." (16). In the Islamic era up to the recent centuries the Greater Tunb Island was part of the states of Fars, Kerman, Mokran and Hormuzgan. In 1884 it was part of the Persian Gulf ports. In 1949 together with 29 other islands it was a village under the district of Lengeh. In 1951, it was part of the village Mazdouqi in Lengeh district of the city of Lar. In 1954, it was a village in Abu Musa district of Bandar Lengeh port city. In 1958, Abu Musa and Great Tunb districts jointed together and formed a large district with Kish Island as its center. In 1976, it became part of the city of Kish. In 1982, it became part of the city of Abu Musa. In 1991, the Great Tunb Island was part of the Tunb district of the city of Bu Musa (17). The Greater Tunb Island due to its far distance from the Strait of Hormuz has no strategic importance by itself. However, given Iran's strategic situation, it is considered an important link in the defensive line of Iran in the Strait of Hormuz (18). The Lesser Tunb Island is neighboring the city of Lengeh in the north, Abu Musa Island in the south, the Greater Tunb Island in the east and Faroo and Faroogan islands in the west. The island is rectangular in shape (19). 5- Institute for Political and International Studies, selected Persian Gulf documents, volume 1, page 18, Institute of Political and International Studies, series of articles of seminar on Persian Gulf issues, page 136. 6- Seyed Hassan Mousavi, "A brief discussion on historical-political geography of the Persian Gulf...", sociology and humanities of Shiraz University, page 118. 7- Institute of Political and International Studies, selected Persian Gulf documents, pages 18-22, Institute of Political and International Studies, series of articles of seminar on Persian Gulf issues, page 137. Seyed Hassan Mousavi "A brief discussion on historical-political geography of the Persian Gulf..." sociology and humanities of Shiraz University, page 118. Mehdi Azimi, "Persia Gulf Political History", Port and Sea, page 22. 8- Institute of Political and International Studies, selected Persian Gulf documents, volume 1, page 22. 10- Institute of Political and International Studies, series of articles of seminar on Persian Gulf issues, page 148. 11- Institute of Political and International Studies, ibid, page 149. 12- Pirouz Mojtahedzadeh, "Persian Gulf in return for history", political and economic, Nos. 105-106, page 26. 13- Pirouz Mojtahedzadeh, "Persian Gulf in return for history", political and economic, Nos. 105-106, page 27. 14- Pirouz Mojtahedzadeh, "Persian Gulf in return for history", Nos. 105-106, page 28. 15- Iraj Afshar Sistani, Abu Musa Island and the Greater and Lesser Tunbs, page 105. 16- Iraj Afshar Sistani, ibid, page 11. 17- Iraj Afshar Sistani, ibid, page 119. 18- Iraj Afshar Sistani, Abu Musa Island and the Greater and Lesser Tunbs, page 121. Copyright © 2006 Pejman.azadi. All rights reserved.